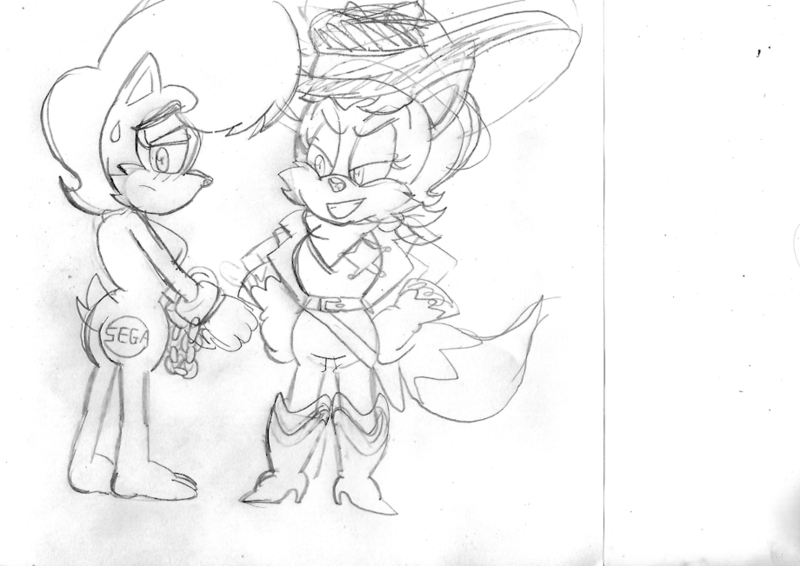 After being branded https://inkbunny.net/s/1533770 by Fiona, later stuck in a barrel to cool down.... https://inkbunny.net/s/1533777 Sheriff Fiona has fineally caught the famous outlaw that's cause her so much trouble... not wanting to waste her clothes, Fiona is keeping that as a thophy while as for Sal... her new outfit is going to be a pin stripe prison jumpsuit while she is kept behind bars...but for how long "intill she escapes? " is this one to be colored or just a sketch ? It's all going to be colored soon. once everything has been sketched out.